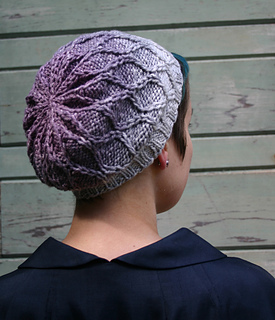 This pattern is also available in the Textured Knit Hats Pattern Bundle, along with the Bramble Hat and Seeded Rib Hat, for $12.00. 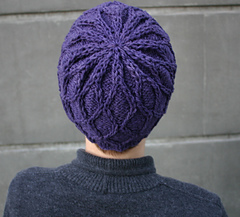 The slipped and cableded stitches in this pattern form a tessellated design of pointed ovals which smartly nestle together. 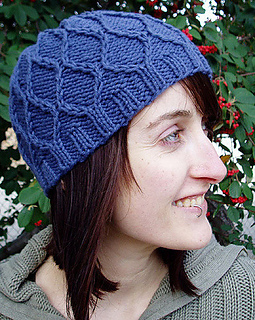 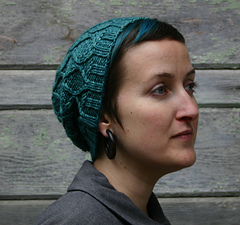 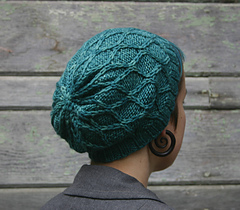 The stitch pattern is relatively simple and easy to follow yet makes the hat an impressive gift. 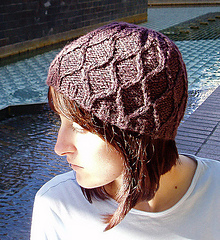 Choose a smooth, solid-colored yarn to highlight the raised stitch pattern. 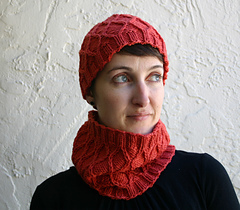 Make the Bas Relief Mitts and Bas Relief Cowl for a matching set. 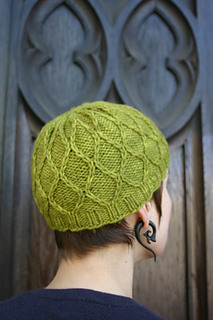 Note: yarns shown usually knit at 16-18 sts to 4” in Stocking Stitch. 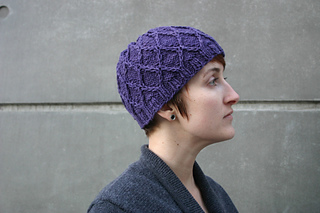 The grey-purple gradient hat is knit in Freia Ombre M/S Worsted, the teal hat is knit in Manos del Uruguay Glria, red hat is knit in Sincere Sheep Bannock, the green and blue hats are knit in O-Wool Classic, the blue/purple hat is knit in Alpenglow Worsted Rambo, and the shiny purple/brown hat is knit in Artfibers Bambusa.